Not always the most fascinating, but certainly has its moments. My Sanity in this Crazy World.. I love the nuance and humanity that Brian Lehrer brings to current events, politics and the show’s guests. I try not to miss a single show. The last 3 episodes I listened to I rated as 1,1, and a 3. The host and guests of the show manipulate facts and figures to meet their liberal agenda. Unsubscribing. There are few people in broadcast journalism as professional, humane and insightful as Brian. And he’s funny too! He covers the spectrum of topics, with NYC often being part of the story. He is the definition of an adept moderator who is informed enough to add to the discussion and never afraid to ask the tough questions, and get to the heart of a discussion. He has few peers in the business. He is a real treasure. Brian Lehrer is a gifted interviewer; one who makes no bones about his politics & sensibliities, & yet one who makes an effort to be inclusive & respectful of others. And succeeds. As a transplanted-to-CA, native New Yorker, he makes me miss NYC! Brian is a great journalist, has an incredible knowledge of local, state, federal and even world affairs, and the show is unfailingly civil (no, better than civil: gracious), respectful, and absent the carnival-barker hype so prevalent elsewhere. His Ask the Mayor segment every Friday, when the mayor calls in and answers listeners' questions, often getting someone from city government involved in resolving their problems...unparalleled, and real questions, not softballs. I started listening to this show months before I moved to New York, just to get an idea of what was going on and what people were most concerned about. It quickly became one of my favorites- the discussion is balanced, the guests are interesting, and the topics are so varied that I never get bored. But the voices of the people who call in are my absolute favorite, so many accents reflecting a beautiful and diverse city. I love walking around the city and hearing it blare out of cars. Thanks for the work you do! Wow! I have really enjoyed listening to this show since I discovered it a few weeks ago. I almost never listen to call-in programs, but this show keeps its focus and covers really interest and important material. I love the policy breakdown - greater depth and much more nuanced than some other shows, while keeping the material accessible and not totally accessible. The in-depth news coverage and expert/journalist interviews are great too. I’m so excited I discovered Brian Lehrer and I will definitely be a regular listener! Keep up the great work, Brian. very happy with Brian’s show overall. his recent interview/debate with Ben Jealus was an eye opener. He was very bias in his interview and even made an attempt to discredit Ben towered the end. We get it your a Hilary supporter. Great show. Just one criticism recently...I wish that when Brian introduces Andrea Bernstein, he would disclose that she's a Hillary supporter. A crown jewel of NYC culture. Brian Lehrer ranks among the best interviewers in the business. New York is lucky to have him; and I'm grateful this podcast allows me to listen to his show anywhere & anytime. Very interesting topics and discussions. Seriously. I've been listening to Brian Lehrer for around 20 years. It had another name then, which I forget. Brian consistently strives to bring current events to his audience in a straightforward, unbiased and open point of view. Often giving his audience the opportunity to look at all sides of a question with dignity and respect. He listens and invites the audience to do the same. Brian is very well-informed and is able to explain complex issues simply and directly as well as hit nuanced points that are important to those involved. Thank you for your hard work! I moved to California and I still listen everyday! I can’t live without Brian Lehrer. He is one of the true voices in the media I respect and honor. This show is absolutely awesome, day in and day out! The topics, guests, and interviews are stellar! Thank you Brian, Happy New Year to the entire crew!! I consider myself a New York progressive, but Brian's show has gone too relentlessly liberal in my opinion. I became a fan because he was an even-handed host, respectfully challenging any guest's views. Recently, I've noticed his questioning has become predictably left-leaning, consistently framing the discussions as the oppressed (unions, women, unemployed) vs. oppressors (business, conservatives, the market). Again, I think of myself as a liberal, but I don't come to WNYC to affirm my views. I want honest journalism. Unfortunately, that doesn't seem to be the priority here any more. Where is the infamous interview? Brian has a great ability to ask the right questions in the right way. Should be on CNN or MSNBC to show how it's done. i've been listening tbls for 3 years now. brian's voice is an indispensible part of my day. love it.. especially the cultural content and brian's interviewing style. Love Brian, but why separate episodes!? I love the Brian Lehrer show. However, I wish the podcast wasn't broken up into individual segments. My iTunes is set to only download the latest episode of a podcast. This means that each day I only get the last segment of the show, and it's not worth changing my itunes settings to download 5 most recent episodes of every podcast. WNYC please please can you fix this?! 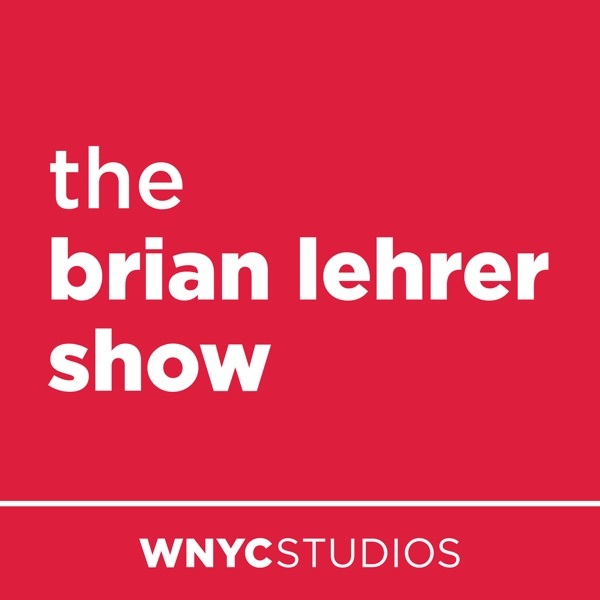 I've been listening to Brian Lehrer for years, it's one of the best shows on radio. I love this show! Listen every day and don't know what I'd do without it. Great coverage of urban planning and policy issues that affect out country. And, Mr. Lehrer effectively takes callers questions. I can't imagine a better interview show. A cool open, democratic vibe with the call-in component. Brian couldn't be a more intelligent, interesting, respectful, and well-informed host. Consistently interesting topics with great guests, insightful questions--just an awesome show. I love listening to the Brian Lehrer show for a nuanced approach to issues frequently discussed and a shining light on some less frquently covered subjects. My frustration comes with frequent problems updating my podcast library. Because it is broken into chunks that all get posted at once, my iTunes has of late taken to only updating the last segment and then I have to find the podcast in the iTunes store and manually download the missing pieces. I listen to many podcasts, so if all of them forced me to do this to update I would be in trouble, but the Brian Lehrer show is worth the hassle (although I'd appreciate being saved the trouble)! After living in the NY Metro for 8 years and now living on the other side of the county, this radio show is one of the few constants in my life over the past 10 years. Brian Lehrer has hosted one of the most intelligent "call in" shows of our generation, and it continues to engage me at the highest level. I wish my local station carried Brian Lehrer. Such a great mind. Such a great voice. What a brilliant program. I can honestly say this show gets better and better. I don't always listen everyday but when It comes on the radio, the topics are wide ranging that I will download a random podcast episode. Brian Lehrer is a great interviewer and he is clearly well versed on many topics, from politics and city history, to transportation and energy policy. He's my go-to source for controversial news topics. He's the only one that covers them in both an insightful and even-handed way. Very hard to strike that balance, but he does it. This podcast -- one of my very favorites -- has been non-functional and unable to load for three days now. It seemed you guys were trying to retitle it the other day; now it's back to its old title, but none of the episodes will load. HELP! It's a rare talent that can bring openness, consummate ease, good humour, and insight together with an attentive eye on the pulse of the city to their radio show. As an ex NYC resident I listen to Brian each evening now via iTunes. I can feel like I never left home. Brian Lehrer is, simply put, an excellent host— even-handed, objective, with insightful questions, and cool as a cucumber, which helps keep the sometimes excitable guests in check. Also, 90% of the time it's difficult to tell where his own opinion might lay. This show is a credit to WNYC and the medium of radio in general. Can We Get the Full Broadcast? This is a great show, and the full broadcast is available on WNYC's website. When will iTunes let us download the full broadcast as well? brian is hands down the best radio host on the air. the discussions always dig deeper than the superficial discourse of mainstream media. he is respectful, insightful, and fair, not to mention personable and funny. whenever there's an important story in the news i always turn to brian to hear what he and his guests have to say about it, because his show is one of the only sources i trust. We have loved Brian in NYC for years and years, he is smart and works very hard to bring in different points of view without people shouting at each other, a rarity indeed.---However, the show itself is two hours long; WNYC displays an odd hesitation in not putting the whole thing out there. Thus the four stars, instead of five. The station's toe-in-the-water approach seems to be loosening up, but v e r y s l o w l y. I'm a member since 1992 or something, so I feel somewhat qualified to criticize their hesitant approach to podcasting. C'mon, put it all up! What are they afraid of? One of the last bastions of true discussion & debate in ALL of media, not just radio. Brian Lehrer confesses to his liberal leanings, but goes out of his way to be an impartial arbiter. Its not faux debate, or infotainment that mainstream news media has become. More power to Brian and WNYC! It's always worthwhile listening to a show where you don't know which way the host is leaning on various political/social issues. Some of the guests are very interesting and have proven credentials as experts on their respective professions. Perfect way to stay in tune with today's current events! WNYC is a leader with podcasting availability. Brian seems like a bit of a SNAG, but he doesn't let it get in the way of a good interview. When it's good, I find myself desiring longer interviews. Disclosure: I listen to Howard Stern, then switch to this show if the topic is interesting. It is the perfect format for podcasting, as you can cherry pick the content.